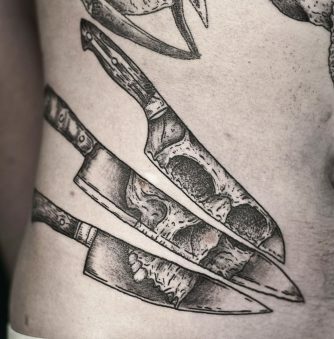 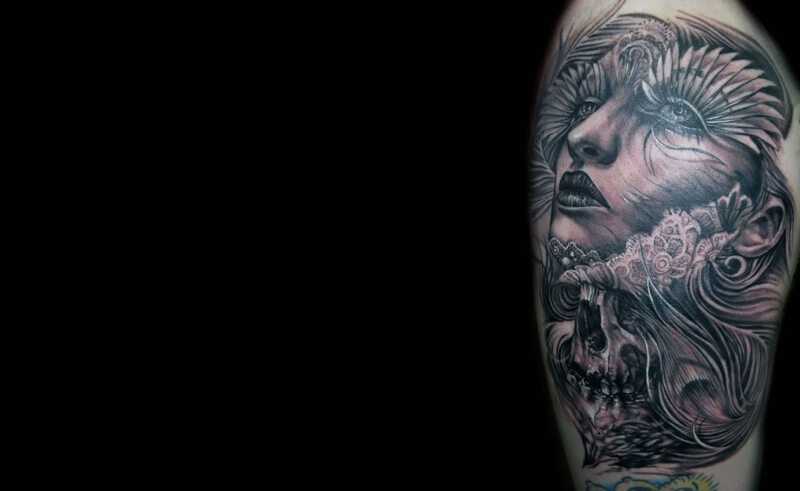 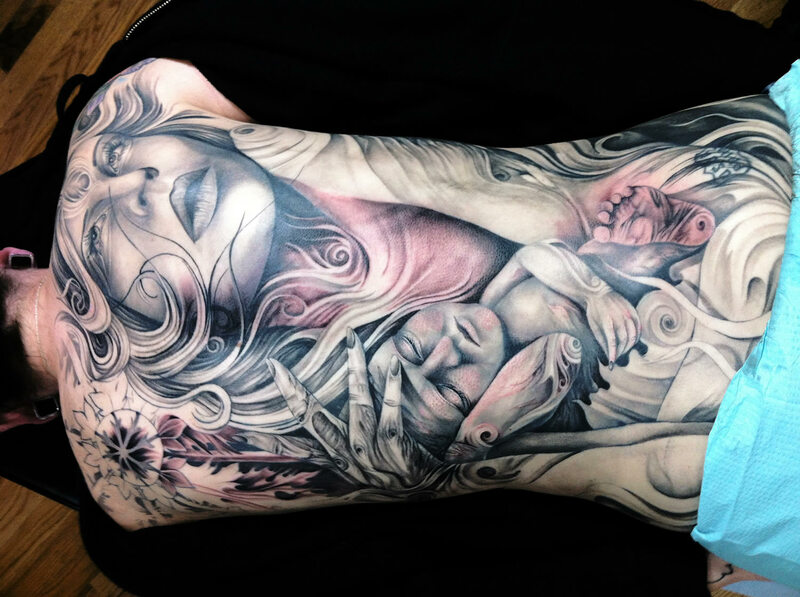 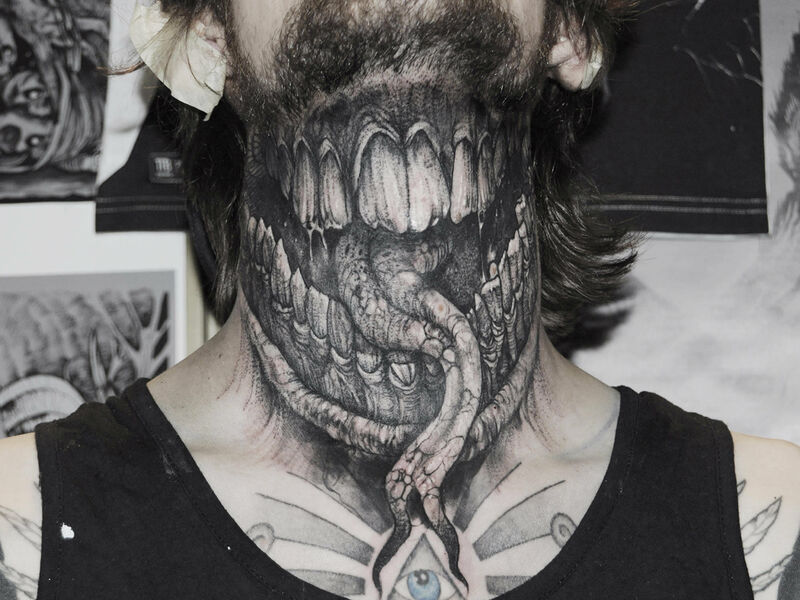 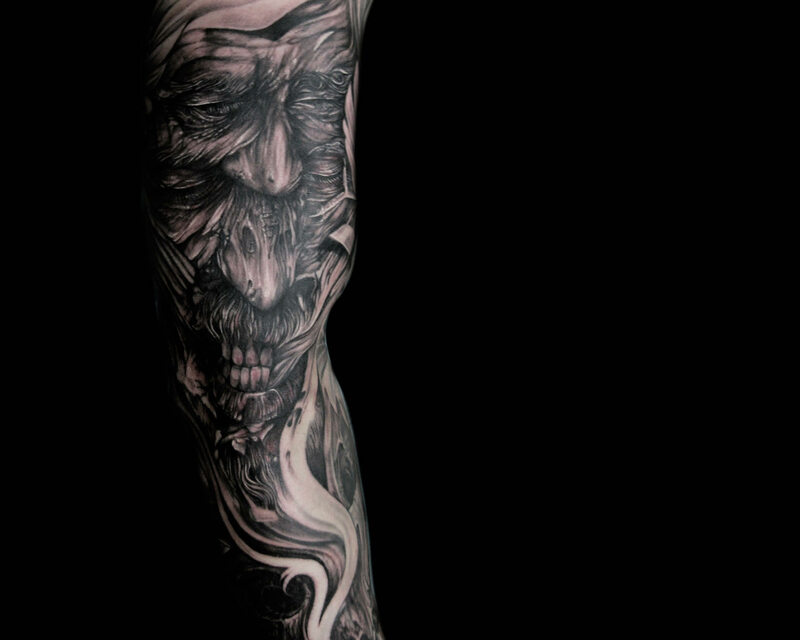 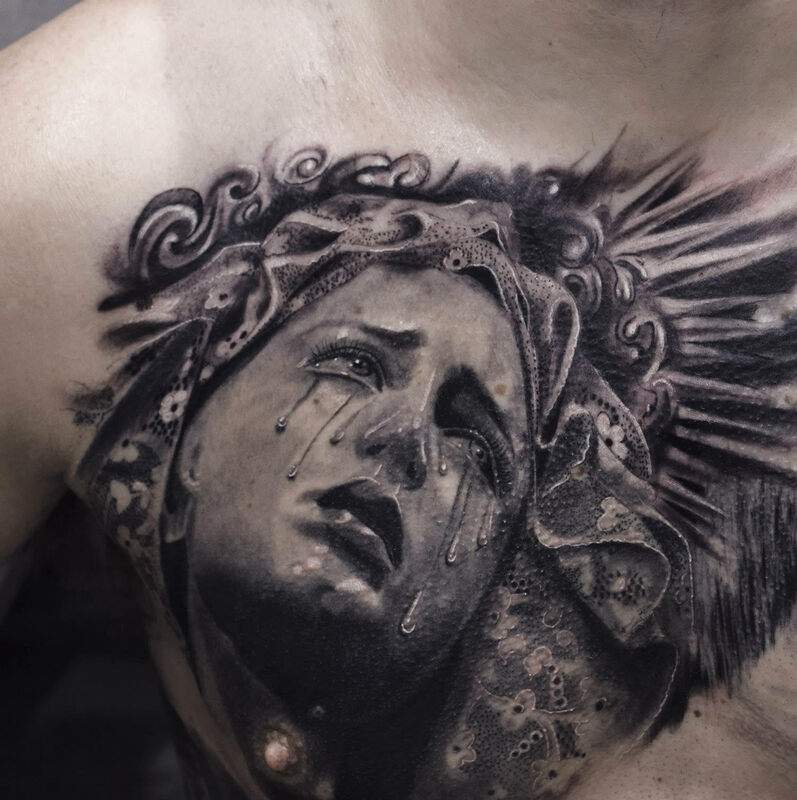 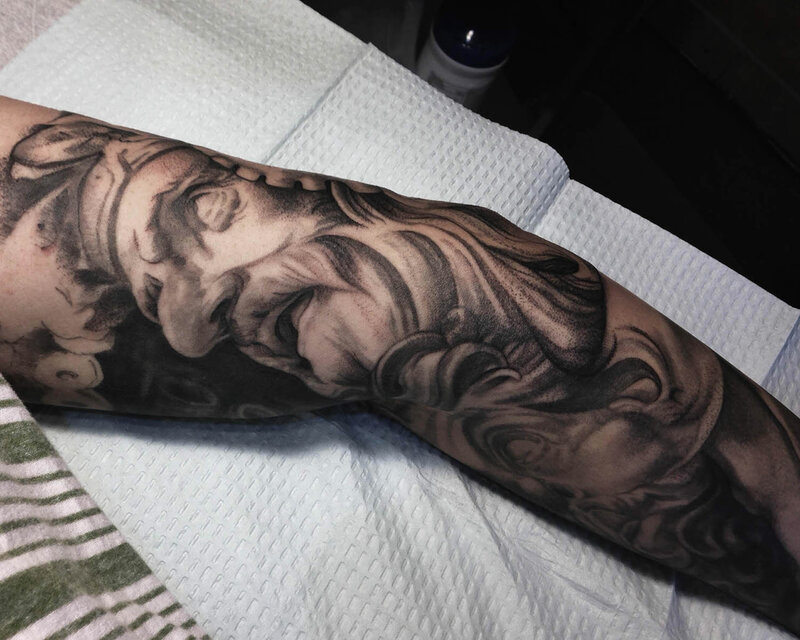 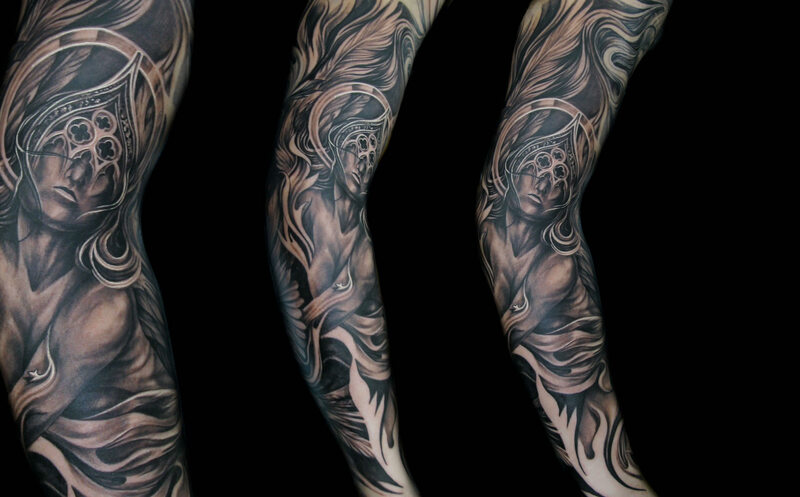 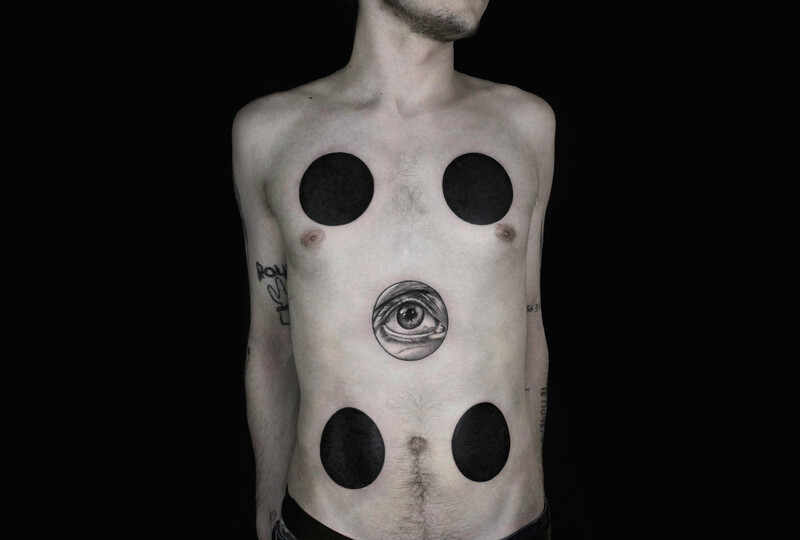 American artist Tony Mancia sometimes spends 10 hours custom designing a tattoo for a client. 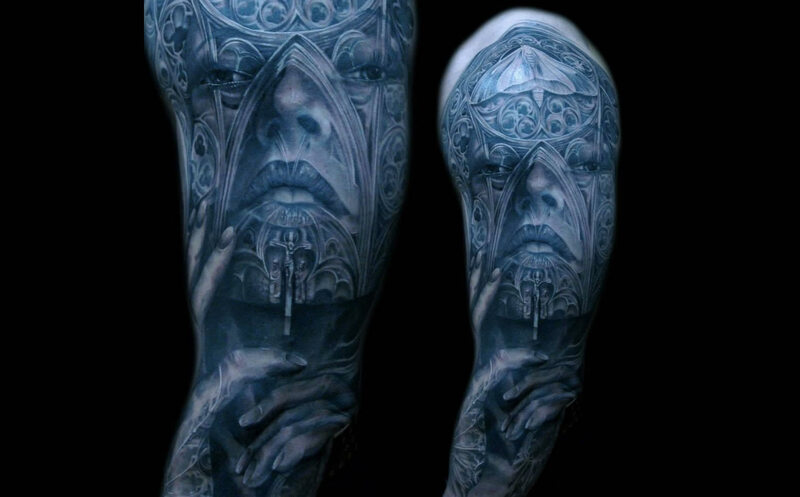 It takes some thought to come up with interesting compositions such as fusing late Gothic and Renaissance cathedrals with portraits of women. 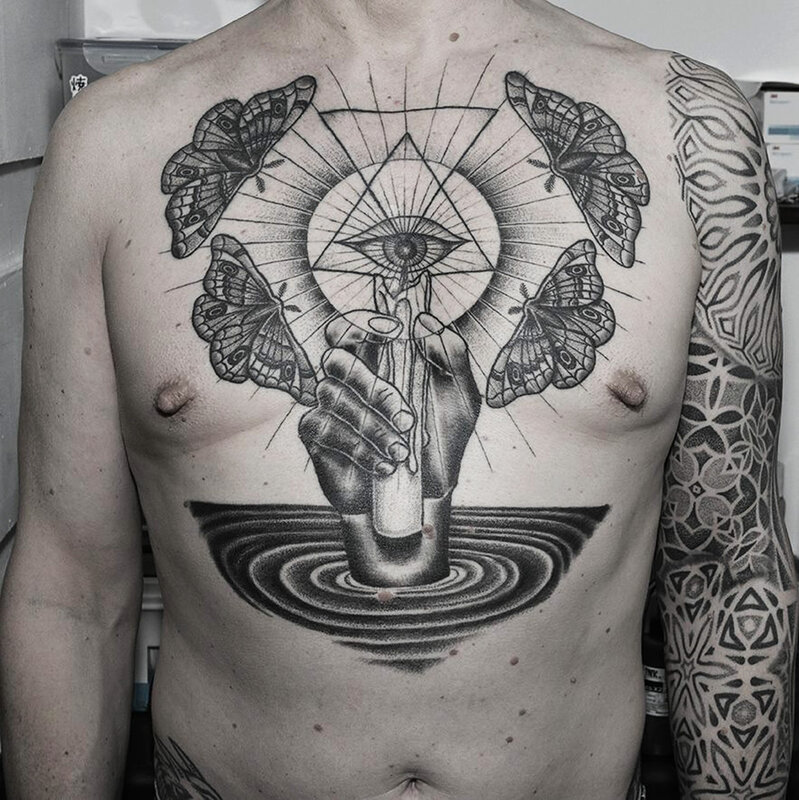 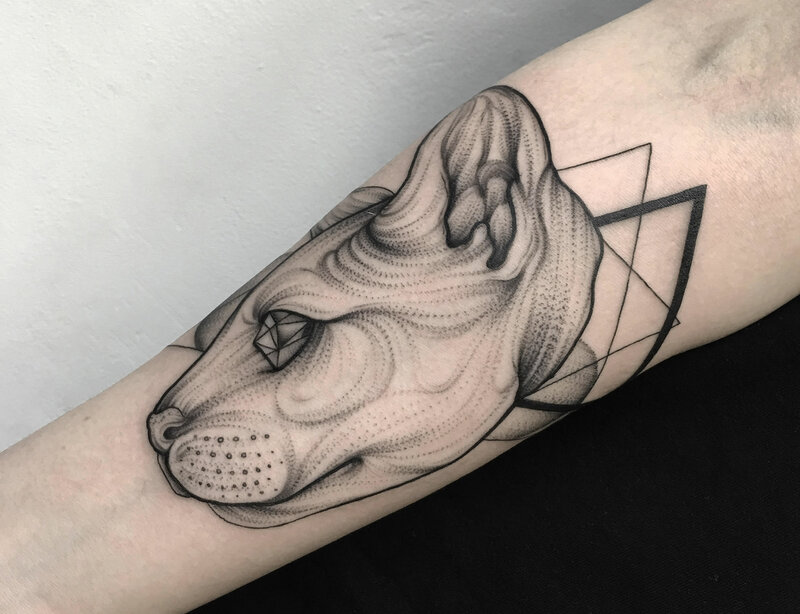 His passion for architecture is apparent as he includes details like the quatrefoils (four leaf-clover frameworks) and rose windows in his tattoos. 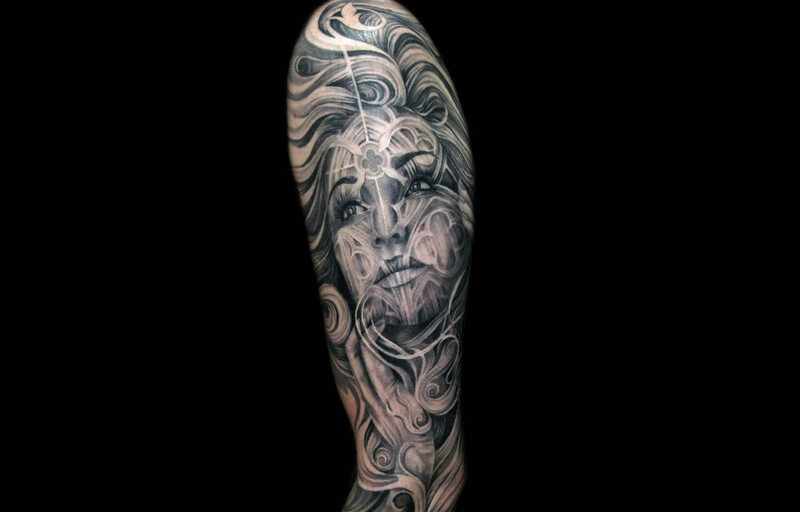 There is motion and a morphing effect in much of his work. 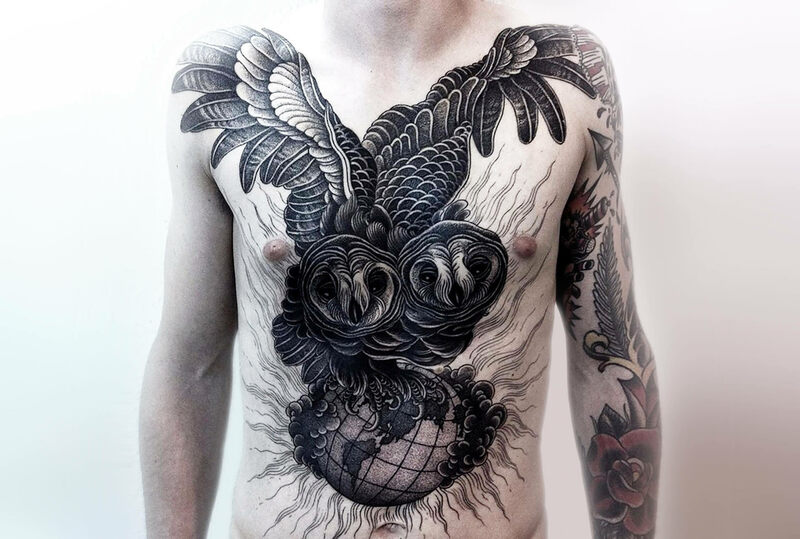 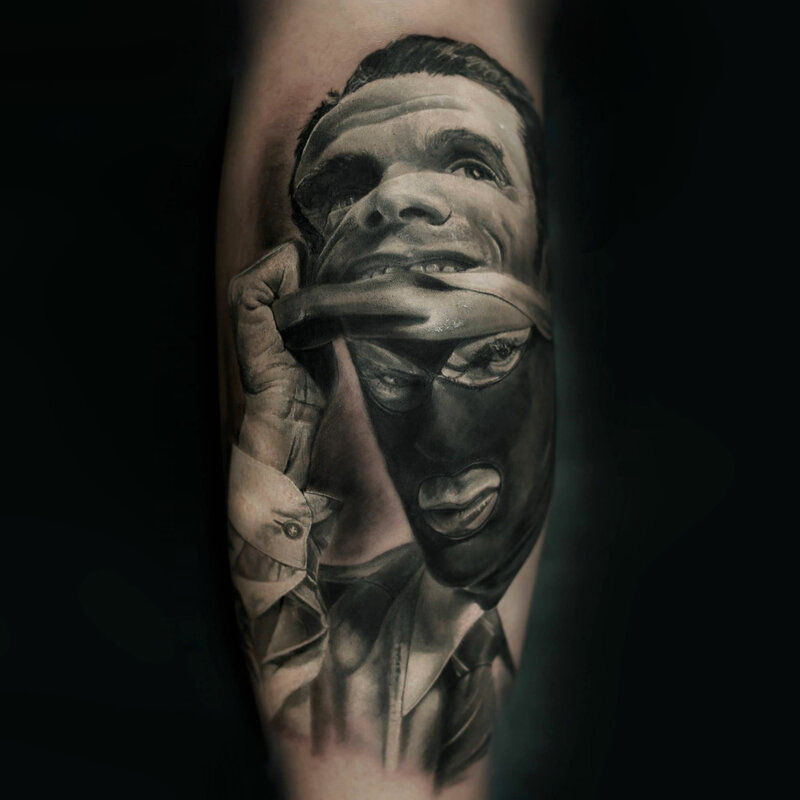 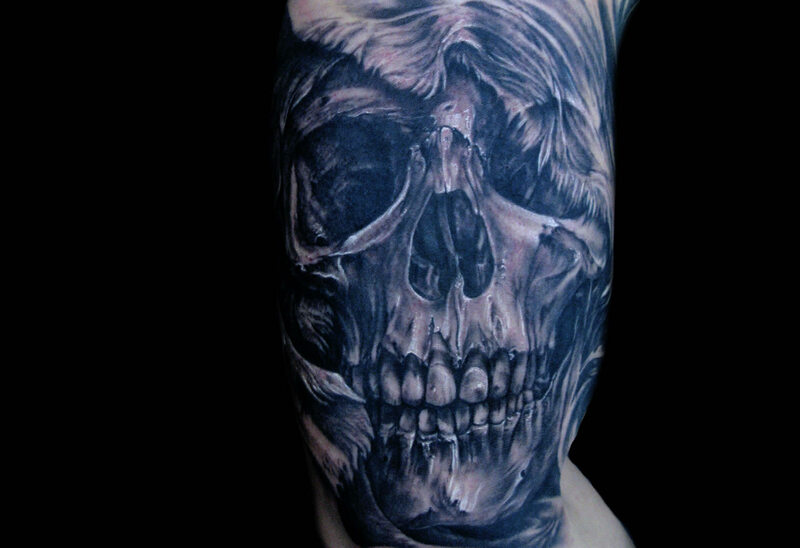 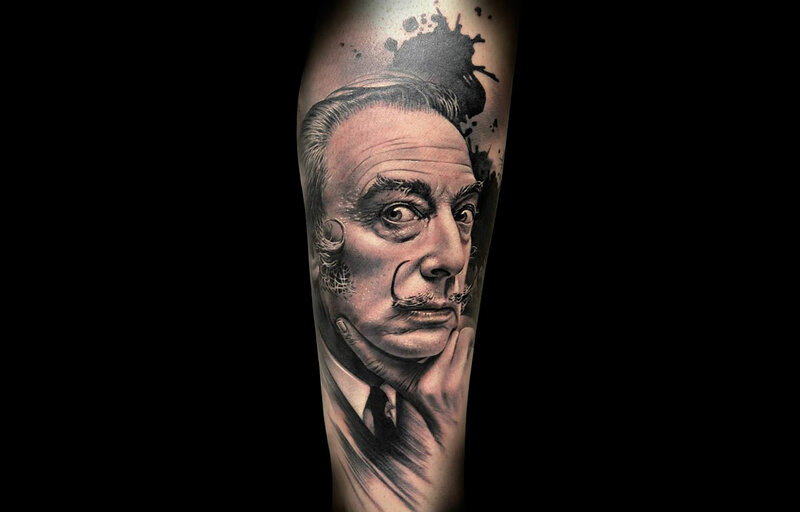 Reference: "All or Nothing Tattoo Artist: Tony Mancia." 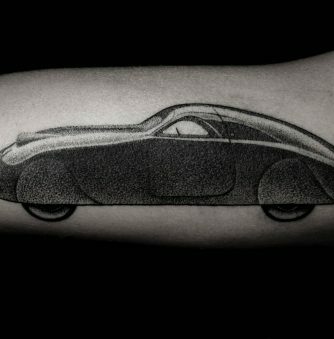 Allornothingtattoo.com.